Already listed with our Phuket paint and coatings directory? At Bang Tao – Laguna, paint and coatings service provided a fully service in Phuketindex.com with a reliable list of paint and coatings in Bang Tao – Laguna area for faster searching. 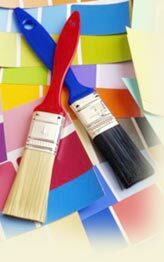 Save time to find information for Phuket paint and coating service in Bang Tao – Laguna area.